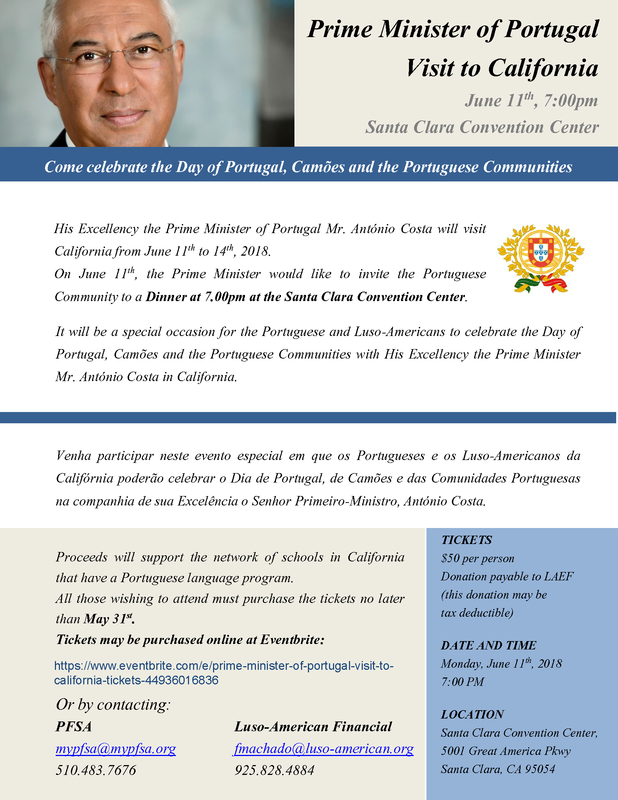 Your presence at this event is of great importance in order to project the importance of the Portuguese community in California and to help support Portuguese language programs at this crucial time. For your convenience, you can RSVP to macauculturalcenter@gmail.com so we can pick up your ticket. Be sure to include the full names of each individual attending and their meal selection: chicken or vegetarian. You may also reserve and pay for the tickets through the Eventbrite site for a small fee. Let’s have a good show of attendance!